I came across the most amazing book (and then found out it was one of four in a series of books!) called Post Secret: Extraordinary confessions from ordinary lives, by Frank Warren. PostSecret began as an art installation for Artomatic 2004 in Washington, D.C. The simple concept of the project was that completely anonymous people decorate a postcard and portray a secret that they had never previously revealed. No restrictions were (or are) made on the content of the secret; only that it must be completely truthful and must never have been spoken before. Entries range from admissions of sexual misconduct and criminal activity to confessions of secret desires, embarrassing habits, hopes and dreams. 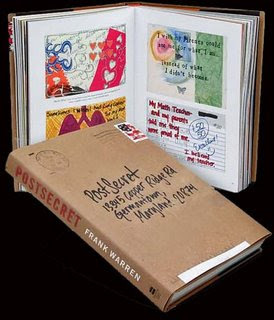 Since Frank Warren created the website on January 1, 2005, PostSecret has collected and displayed upwards of 2,500 original pieces of art from people across the United States and around the world. The site, which started as an experiment on Blogspot, is updated every Sunday with approximately 20 new pieces which share a relatively constant style, giving all “artists” who participate some guidelines on how their secrets should be represented. 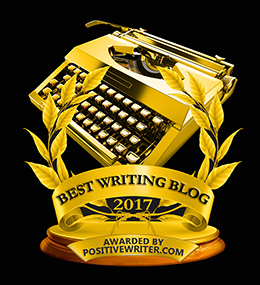 Not only is this a fantastic idea, but a great place to get story ideas, as well. After reading through my copy of the book, I came up with about 15 new story ideas!